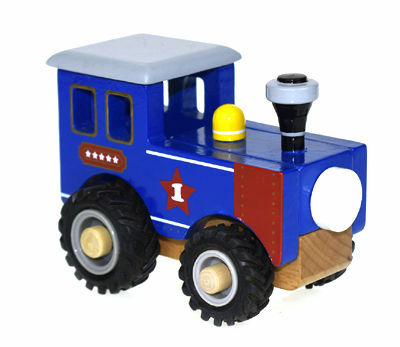 Blue Wooden Train With Rubber Wheels is a sturdy wooden train with a beautiful blue paint job and lovely chunky rubber wheels. This train is a fantastic addition to any truck collection with the added benefit that it needs no track. A wonderfully made toy which will make the train obsessive in your family very happy. We like this because: "A classic train what more can you ask."